At Driftwood, the success of the day is in the hands of the campers. A typical day may include riding,barn chores, random act of kindness, sports, arts, improv, hiking, roping & of course amazing food! Our small size is our greatest asset. It allows us to create a self-sustaining community where the focus is on creativity, responsibility, respect and fun. 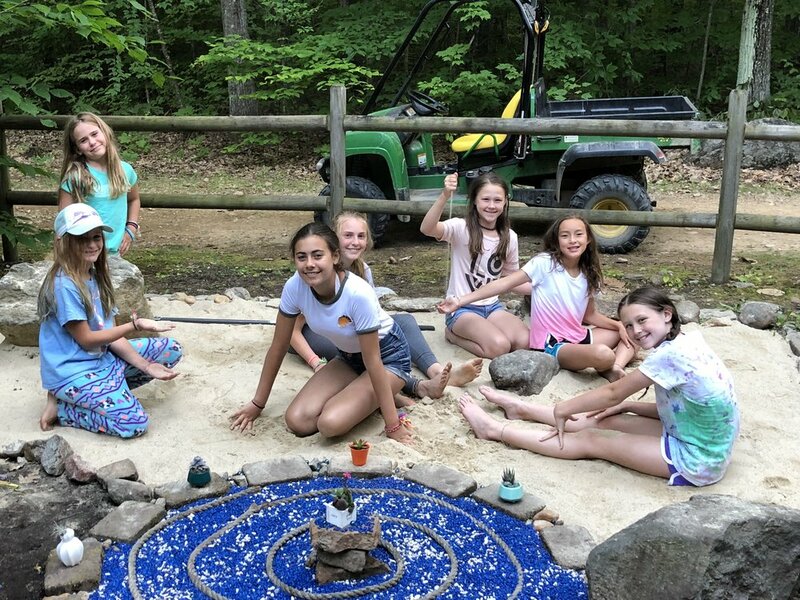 Our Leadership Development program is an exciting approach to an important goal: preparing our campers to function as great leaders and participants in their lives after Driftwood. Our leadership programs are an advanced life skills curriculum that complements a summer of friendship and adventure. A popular analogy on the ranch is that we all possess a tool bag. As we walk through life, we collect the necessary tools. Parents provide many of these tools. Schools provide many of these tools. 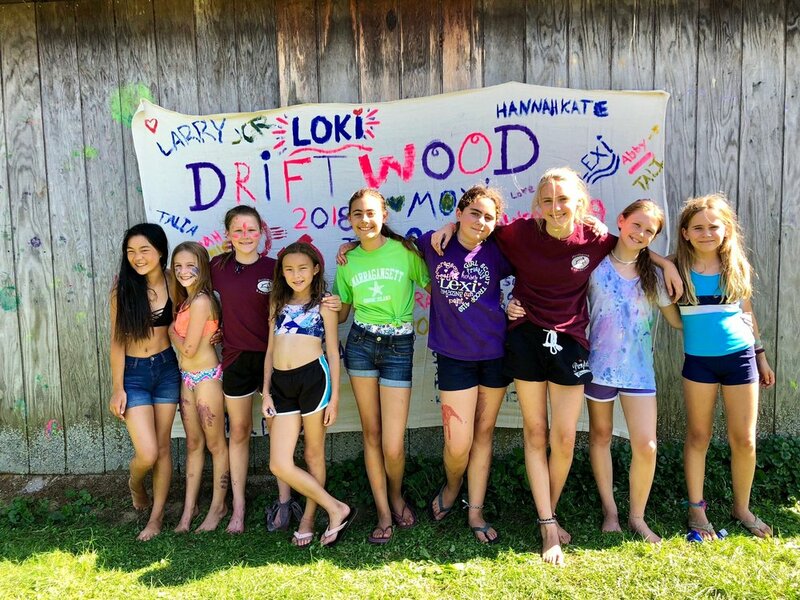 Driftwood seeks to equip campers with answers to some of life's tougher and less-explored questions, rounding out their tool bag. What does it mean to be a mentor? How does my self-esteem factor into my ability to lead? How can I foster and support someone else's success? 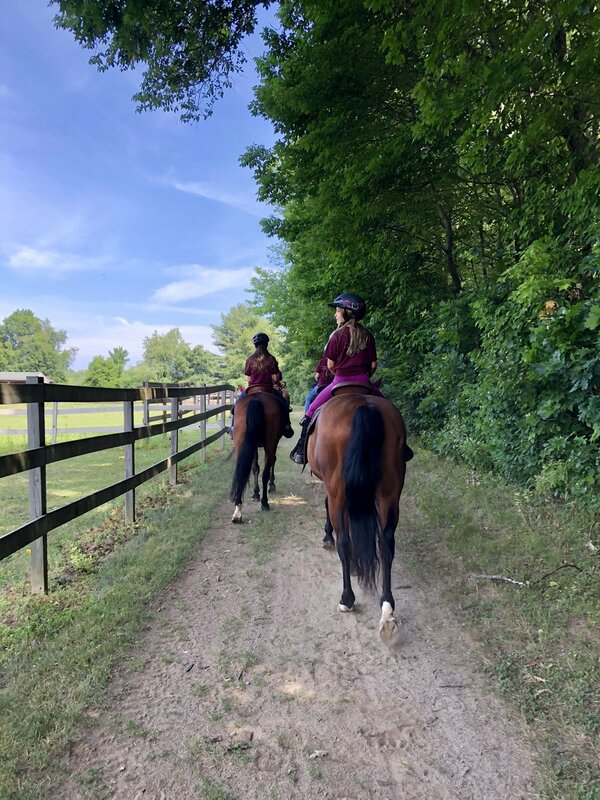 A typical day may include feeding the horses at sunrise, planning and cooking the meals, a trail ride through the farms and forests of southern New Hampshire and a stop at a local swimming hole. Other activities range from hiking and biking, rock climbing, basketball, baseball, music, acting and songwriting. Our campers often design and teach their own activities. Our small size is our greatest asset. It allows us to create a self-sustaining community where creativity, responsibility, respect and fun reign supreme. A campfire of poems, songs and discussion brings each day to a close. Our horsemanship program offers an experience that transcends the art of communication. Campers get an opportunity to connect with horses from the ground into the saddle. Driftwood campers sleep in our new, state-of-the-art yurts. These innovative structures accommodate modern conveniences yet remain elegantly rustic. Each yurt can comfortably sleep 6 to 8 campers. Our staff ratio is 1:4 campers. 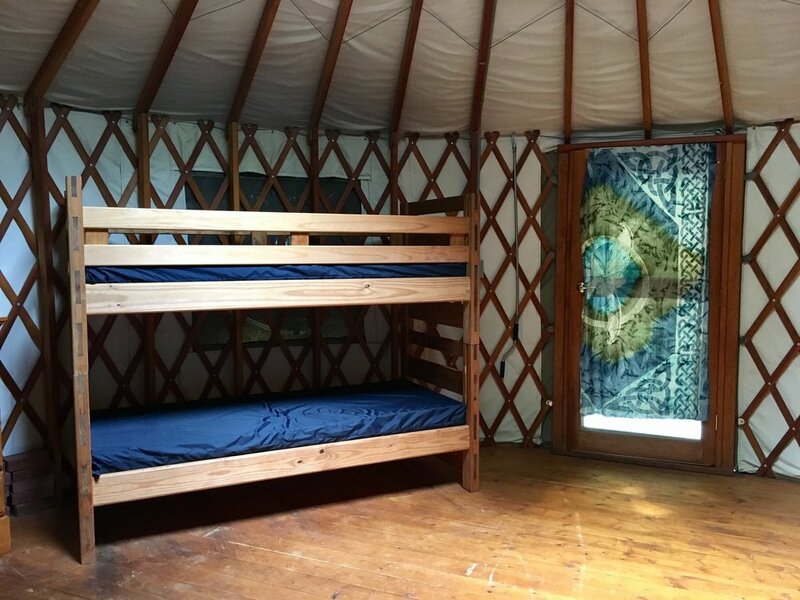 Each yurt has 7 campers and one counselor. Majority of our staff are in the field of education. Some were even our campers when they were 11! They are experienced leaders with CPR, Wilderness First Responder and Lifeguard certifications. For over 20 years, Directors Rob and Bri Gallo have dedicated their lives to providing programs for kids that focus on experiential learning. At the core of the Driftwood experience is their focus on an innovative approach to Leadership Development. Come join the Driftwood Community!